A new app is to make it easier for visitors to plan and enjoy their day at this year’s Shrewsbury Flower Show. 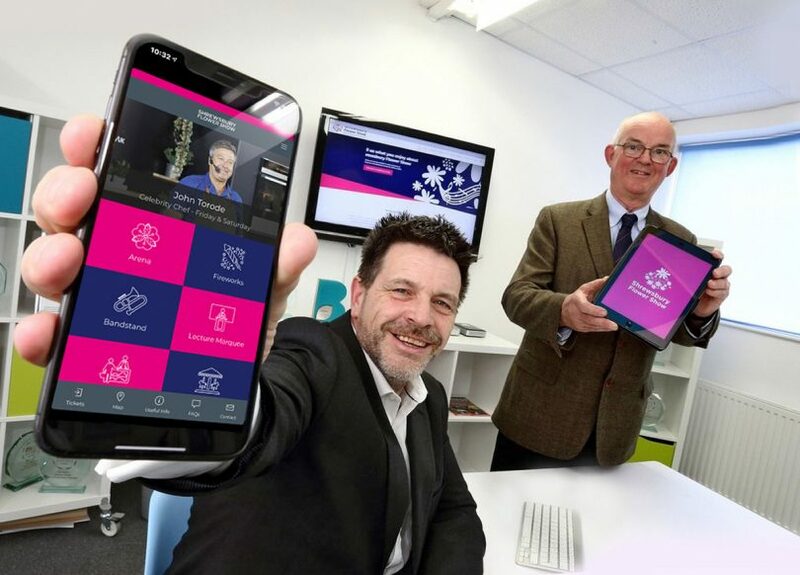 The newly launched app, designed by Shrewsbury-based marketing agency Yarrington, can be downloaded for free and enables visitors to find out the latest news ahead of the event and to buy their tickets via a link to the website. Once tickets are purchased they can be stored safely on the app in readiness for arriving at the show. This year, the 132nd Flower Show is being held on August 9 and 10 and will see The Quarry in Shrewsbury transformed into a sea of floral displays and other entertainment. Celebrity chef John Torode will be at the show for a second time in recent years entertaining visitors to the culinary stage, musical entertainment on Saturday will be delivered by Scouting For Girls, alongside the ever-popular military bands, and choirs. The main arena will feature equestrian thrills, high-adrenaline action from motorcycle troupe The Imps, as well as other entertainment and activities. Children’s pursuits, trade stands, catering stalls, and a whole raft of other events will also be taking place. The app will enable users to browse exhibitors and find them easily on the day of the show via the interactive map, as well as be alerted to timings of their chosen activities. There will be additional information in the form of FAQs, and regular updates from the show organisers ahead of the event itself. Andrew Cross, chair of the Shropshire Horticultural Society, said everyone is delighted with the app. “We have been working closely with Yarrington to create this app which will make it easier for people to purchase tickets, and access them on the day – they just have to show the QR code of the ticket on the app at the entry gate. “We are delighted the app has now been launched, information will still be available on our website but we recognise many people now use apps as a first port of call when they can. “Visitors can choose to receive notifications from it about when something is happening on show days – they don’t need to worry about missing things,” he added. Mark Allsop, from Yarrington, said: “Mobile apps first appeared in 2008 and in less than a decade they are everywhere. “Along with the phenomenal growth in smartphone usage, mobile apps are revolutionising our daily lives. To download the app visit your phone’s app store and search for Shrewsbury Flower Show.